If you are looking for the most reputable online auction websites around the globe, you’ve come to the right place. I hereby present to you the 70 best online auction sites and bidding sites. As you know, there is no shortage of high-quality online auction sites on the internet. But we decided to separate the wheat from the chaff and give you the absolute cream of the crop. These online auction sites will give you the best value for your money because they are exclusive. Note: These sites are listed in no particular order. 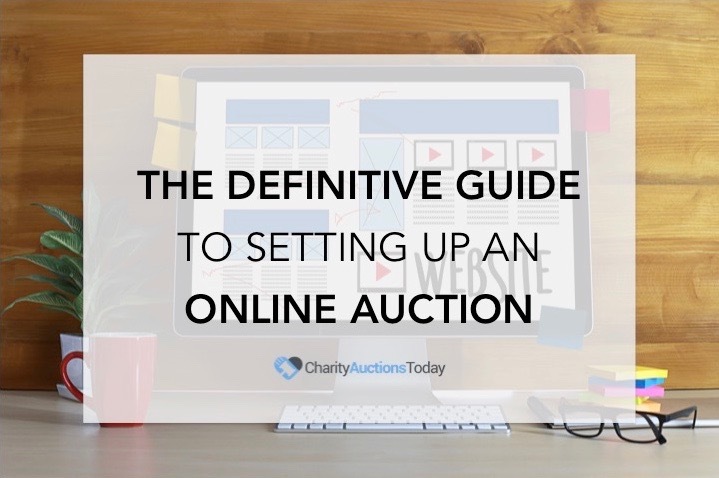 A perfect solution for all lovers of online charity auctions, Charity Auctions Today was developed and created by Tom Kelly in 2007 to cater to those who would like to take their charity auction to the next level. Although the payment options are limited for buyers and sellers, the buyer safety, competition, reach and high traffic certainly outweighs the payment options by far. 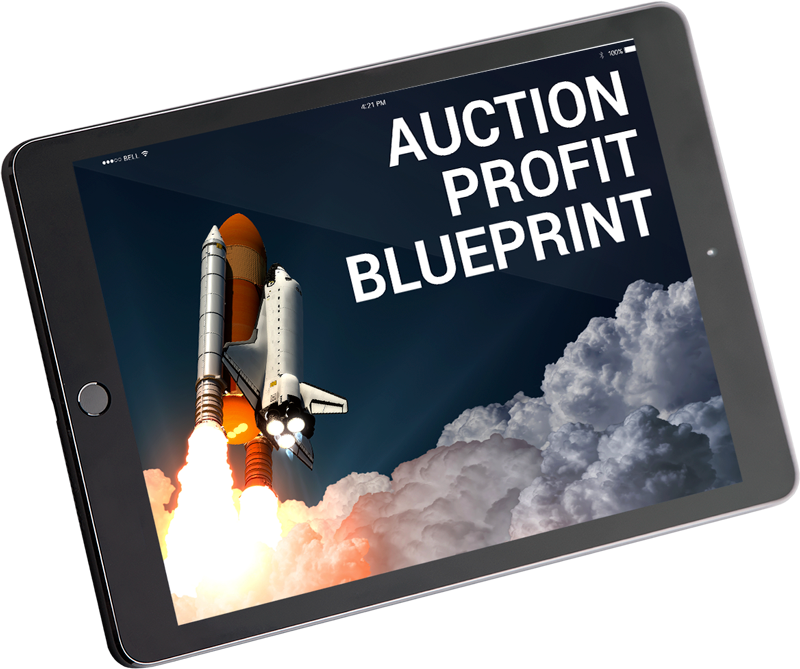 With a state-of-the-art, cutting edge platform, Charity Auctions Today has been fully developed to provide a top-notch user friendly platform that will help you raise the maximum dollars with your auction. 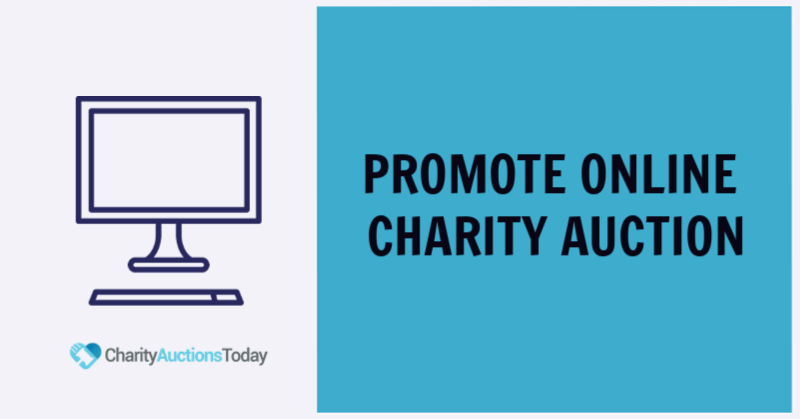 Charity Auctions Today is one of the most reliable online charity auction platform with no performance fees on the money raised. 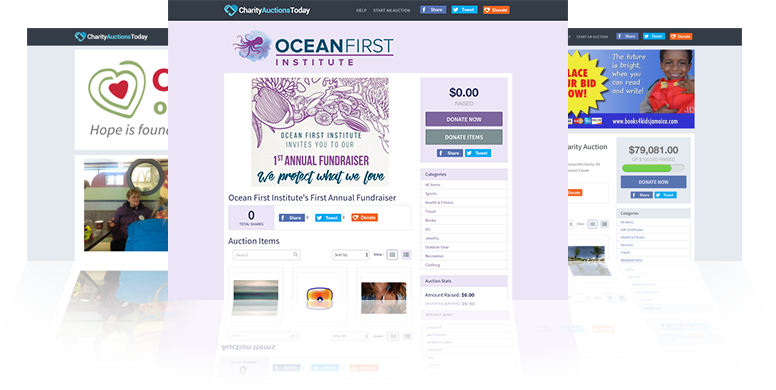 Additionally, Charity Auctions Today has hundreds of features that are easy to use and easily customizable. Their platform can work with all devices, has a built-in credit card processor, and contains many social media tools to help you spread the word of your auction. Get instant access to the 4 tools big organization use every time to skyrocket auction profits! Subscribe to our newsletter to receive regular updates and tips about growing your organization & get instant access to this free PDF. The 4 tools BIG Organizations use every time to skyrocket auction profits! Stop leaving thousands on the table. 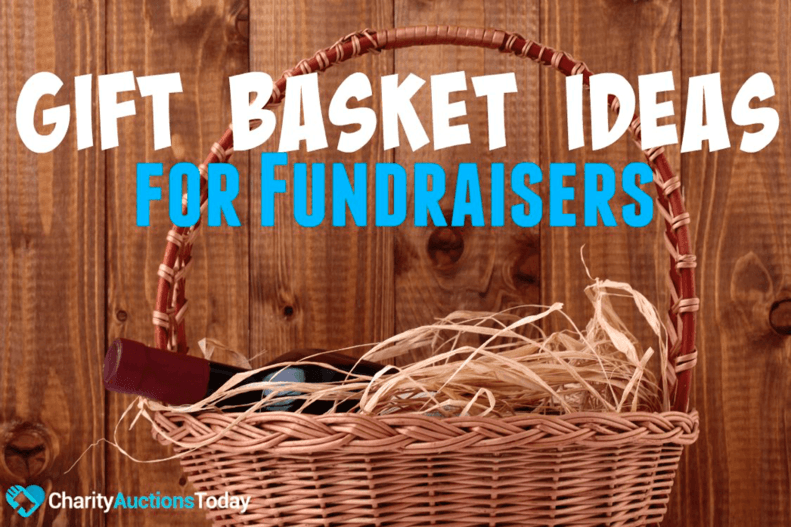 24Fundraiser provides top-notch fundraising software and services for nonprofits & schools. With over 4500 happy customers, 24Fundraiser is the largest fundraising software and services provider in the United States. 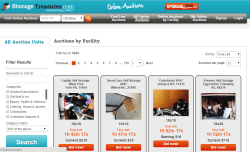 OnlineAuction.com, created and founded by Chris Fain, is a very simple marketplace with an easy-to-use platform where sellers and buyers connect. They have over $579,353,782.71 worth of auctions listed in their marketplace. What makes OnlineAuction.com (OLA) unique and different from other online auction sites is its “auctions with no final value fees” policy. This means that sellers have the ability to keep every penny of the final value of the closing auction. One of the greatest pros of OLA is its easy-to-use listing form in conjunction with simple time-saving templates for listing multiple and similar items. Another feature of OnlineAuction.com worthy of consideration is their No-bid snapping feature. This is really a great feature that helps sellers get the maximum bid for their products by extending the offer about 2 minutes if there is more than one bidder and the offer has reached its last minute of expiration. So there is no last second “sniping” out with a winning bid. This especially peculiar to most online auction sites where a bidder would wait for the last second and outbids the other bidders to win the auction. Web Store has a wide variety of categories. In fact, whatever you want can usually be found here ranging from Antiques to electronics to specialty services. Web Store’s safety policies have been top-notch over the past decade. So you’re assured of about 99% buyer safety (it is impossible to completely rid an online marketplace of fraud). 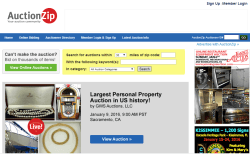 ePier is one the largest auction site on the internet. Various auction listings are displayed and you can join the bidding war in real-time. With over 210,000 registered members, ePier’s online auction site is a very attractive option for sellers. Although the site has less key selling features when compared to other top-rated auction sites, such as traffic reports, advertising, resolution centers and automatic bidding, it has several other tools that help improve the selling process. Above all, ePier offers a free and safe environment for both buyers and sellers alike. Launched in 2008, Atomic Mall has proven itself as one of the best online auction sites. With over 172,604 and 412,684 members and listings respectively, Atomic Mall is currently among the largest auction sites on the internet. Auction Warehouse is anonorcather fantastic online auction site that provides completely free bidding and auction(United States only). Launched in 1998, AW has been consistent in providing the safest form of auction through an easy-to-use listing interface which is considered as one the best online auction interfaces around the globe. With a wide range of categories and thousands of listings together with a top-notch listing interface, makes Auction Warehouse a great auction site for both buyers and sellers alike. The only drawback, though, is that they accept only credit cards(as of the time of writing this review) as the only payment option. 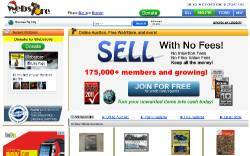 iOffer is considered by many as the third largest online auction site with over a million reputable members. They have a very large collection of listings with an extremely easy-to-understand interface. They also have a very secure payment solution (PayPal) for buyers and offers competitive fees as well. One fantastic feature of iOffer is their trending search listings where the most searched listings are shown. This makes it extremely easy for buyers to locate a listing without much struggle and digging. With a wide range of categories ranging from women fashion to fragrances, iOffer is definitely a place to be. Additionally, they feature the top bids at the very top of their homepage which I think is a gold mine for those looking for quick bid “sniping”. Established in 2001, Auction Fire is really an auction fire website with a lot of listing categories and a nice navigational structure. Moreover, Auction Fire is a completely free auction site and the only fee you’d have to pay is a $3.00 verification fee to verify your identity. eBay is undoubtedly the largest auction site on the internet and prides itself as the biggest online shopping mall with over 100 million registered users. eBay is also the best-known online auction site because they offer the safest marketplace platform for both buyers and sellers alike. 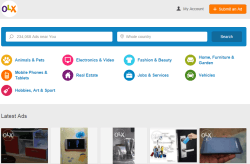 A myriad of interesting features are available for both buyers and sellers – advanced search features, feedback options, a third-party resolution center – all make eBay the go-to place for the both parties. The only drawback is that their fees are a bit higher than others and the marketplace is somehow confusing for newbies. They support Papal and credit cards as payment options. But by and large, it is certainly the place to go for your online auction needs. eBid is one of the largest auction sites on the net and has a very large database of users and visitors. eBid has over $1,833,400,514 gross listing value in over 13,300 categories making it the second largest online auction site after ebay. eBid also offers competitive fees together with great selling features that bring your listing(s) to a very wide audience provided you have a seller plus account. uBid is one of the oldest auction sites on the internet (established in 1997) with over 6 million members in their database. uBid has been recognized as the go-to online marketplace for new, overstock, closeout and re-certified products in more than 25 categories, including Fine Art, Collectibles, Jewelry, Travel and Electronics. The Closing Soon, Trending Now, Deal of The Day, and Mega Auctions sections of the website are real “Diamond Miners” if you utilized them properly. You can get the best deals at the best prices. Their homepage features the top and latest deals so you can enter an auction in a split second without having to scour through countless listings. The pop-up box informing you of your inactivity status after 30 minutes is truly an amazing feature of QuiBids. This helps buyers and sellers to remain active as long as they are on the website. 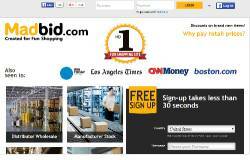 MadBid is an international auction site based in the United Kingdom. They are rated as the No 1 discount auction site on the internet and it’s true because you get up to an 89% discount on some listings provided you meet their criteria. To some, MadBid is great for finding the latest products. The delivery is really fast too. They provide a first class service without the shocking price tag. They have a lot of category listings with great prices. DealDash is one of the most trusted pay-to-play auction provider on the Internet. Their homepage provides some featured listings which I think is cool when compared to the countless number of hours you’d have spend digging through different listings. They also provide a section for winners that displays the winners of different auctions thus allowing you to see in real time those who’ve won what items. SalvageSale is one of the coolest auction providers on the internet with nicely arranged category listings. They have processed over 3 million bids and are used by over half of the top 25 insurance companies. 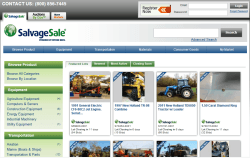 With over 150,000 registered buyers, SalvageSale averages 220 bids per auction which is considered to be among the highest in the auction industry. One of the nicest things about BidZ is their 30-Day return policy. If you are not satisfied with the jewelry, and are still within the 30-day period, you can return the product and get your money back. WellBid is an internationally recognized online auction website operated by Wellmory Limited, incorporated in Cyprus. They are one of the leaders and co-creators of the entertainment shopping segment on the World Wide Web. Listings here are very low and they have the highest-bidder-win policy where the highest bidder wins the auction when no bidder bids for the product before expiration. The homepage features some top listings that can help buyers get the best of the best listings in a snap of the finger. 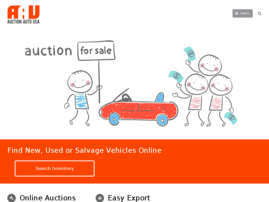 A beautifully designed online auction web portal for autos, BidGoLive is crafted to aid online vehicle shoppers who want to buy a car from Insurance Auto Auctions. It currently among the industry leaders when comes to online auto auctions. The homepage contains featured inventory of vehicles that are auction-ready. Auction Zip is great online auction website that has well arranged category listings that makes it super easy for a buyer to quickly find a listing. With over 25,000 professional auctioneers and 13 million auction buyers, AuctionZip is one of the worlds largest online auction marketplaces. What I also appreciate about AuctionZip is their “Latest Auction Info” tab at the main navigation bar that prompts for your email address to receive the latest auction information. Live Auctioneers is an internationally recognized online auction website that was launched in 2002 and is based in New York City. It houses over a million members with thousands of listings every week making it one of the biggest online auction portals. Live Auctioneers has a well designed web portal which allows both buyers or sellers to easily and safely list and bid for products. The “Auction Activity” tab at the right sidebar of the “About Us” is especially noteworthy. It tells you in a second everything you need to know about the listings on their site, the auctions listed, auctions scheduled in that particular month and bidder participation in online auctions. ShopGoodwill is one the largest online auction site in the world with thousands of auction listings every year. A myriad of category listings is what sets them apart from the others. The “new today”, “ending today” and “Going Going Gone” pages display red hot auctions that will soon be gone. A simple online auction web portal that allows you to easily navigate through the latest listings and auctions. CCOA is a very powerful online auction website that displays hundreds of auctions per week and what’s more – it’s secure! Pickles Auctions is the No. 1 Auction companies in Australia. 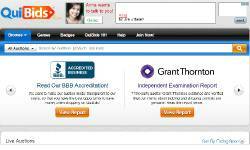 It contains hundreds of listings with over a thousand members in their database. They are the oldest vehicle auction organization in Australia having been in existence since 1965. I included them here because they have an undisputed track record of success with positive testimonials from both buyers and sellers alike. 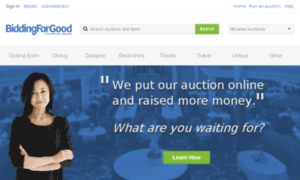 Bidding For Good is a very reputable online charity auction web portal that has been in existence for some time now and has received lots of positive feedback from various customers. Scotland’s finest online car auctions, Central Car Auctions is one the largest car auctions web portal on the internet with over 1,500 vehicles bought and sold every week. Eddisons is a leading firm of Chartered Surveyors operating from ten offices across the UK and Ireland with over 170 years of industry experience. Eddisons has experienced fascinating growth in property auctions in recent years. This has given it an outstanding advantage over other property auction sites on the internet. They are currently hosting over 21 auctions annually and are currently the the 8th largest auctioneer in the UK. They’ve recently revamped their site to improve the auction/search functionality – The best in the industry. They offer both free and premium membership for those looking to buy one or an unlimited number of vehicles. Europe’s leading web portal for fine art and antique auctions and have successfully hosted over 50,000 auctions and over 33,000 live and timed auctions online. Founded and operated by ATG Media, The SaleRoom is one the most powerful online auction sites for fine arts in the world. Property Room is more like a police auction site than an average normal one. They work with over 3,000 law enforcement agencies and municipalities through out United States to help them auction their seized, stolen, abandoned and surplus goods. The honesty, reliability, straightforwardness, and reputability in their dealings with their professional members, have made Property Room a force to reckoned with when it comes to online auctions in the States. They also accept various payment methods(provided you contact their support team). “Lowest auction at its peak” is what AuctionMaxx stands for. They are undoubtedly the only site where lowest auction prices abound. With over 10,000 registered users and over 1400 active listings, Auction Maxx is gradually becoming a force in the online auction world. Their “Maxx Deal” section is what I love the most. If you don’t want to participate in an auction, you can just purchase the product of your choice right away with a huge discount (up to 75%). Founded in 2012 in Ontario, Toronto, Canada, AuctionMaxx gives a complete 14 day money back warranty on most goods which makes them one of the most trusted and reputable auction sites on the internet. Based in Lagos, Nigeria, OLX is Africa’s No. 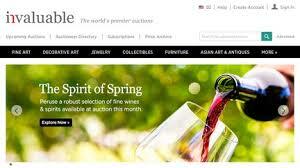 1 online auction site with an unprecedented growth rate. Currently hosting over a thousand active listings with hundreds of members in their database. AO Auctions, part of the Auction Ohio family of businesses founded by Chris Davis in 1985, is a beautifully designed online auction site with a lot of security features. With the highest standards of service, AO Auctions has grown rapidly over the years and still offers what I consider a top-notch bidding service. GraysOnline is an online auction and clearance web portal that offers a number of consumer, industrial and commercial goods direct from manufacturers and distributors. Their homepage displays the most exclusive auctions and also the “Your Top Auction Picks” where the 3 highest category listings are on display. Savills offers professional property service in the UK and in other parts of the world. Their auction section provides top-notch property auctions at affordable rates. America’s Auto Auction offers a full spectrum of Dealer Services necessary to successfully complete the marketing needs for both Buyers and Sellers. Their auction prices are top-notch and they are regarded as one of the most popular online auction sites for autos. All types of autos can be auctioned and bid on. They also have a “Weekly Special” tab on their homepage which shows special bid events. For those living in Ohio, your online auction need is now very close your doorstep. Columbus Online Auction offers Free Consultations, Appraisal Services, Pick-up & Transportation, Warehousing, Receiving Docks for Drop Offs, Packing Assistance & Materials, Full Inventory and Accounting services. Established in 2005 and based in the UAE (United Arab Emirates), Emirates Auctions is an internationally-recognized auctioneer of the Top Ten most expensive license plates in the world. They recently won the Guinness world record for the world’s most expensive Plate which was sold for $14 million in Abu Dhabi in February 2008. Emirates Auctions also deals with car and real estate auctions for the industrial and governmental sectors and is a very active member of the National Auctioneers Association. Ashanet is a charity auction organization, a fully volunteer-run non-profit for Education of the underprivileged in India with 50+ chapters around the world. Their mission is to catalyze socio-economic change in India through the education of underprivileged children. 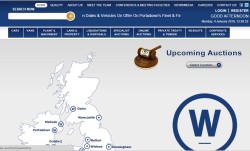 Established in 1936 by William Wilson, Wilsons Auctions is a family business that has gradually become the largest independent auction company in the British Isles. They are the only auction company in the British Isles to offer complete national coverage and are therefore able to take full advantage of regional price trends on behalf of vendors. You can sell and bid for land and property, cars, vans, etc and their live bid offers a very secure method of remote bidding for buyers. As a powerful online auction marketplace, Storage Treasures offers their members the ability to participate in real-time online storage auctions, as well the capability to find live, on-site auctions throughout the United States and Canada. You can bid for latest auction listings on their homepage and can also share your thoughts about a particular auction or listing at the bottom of the page via the Facebook Comments Plugin (you must be logged into Facebook). 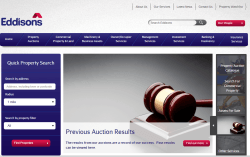 Venmore Auctions is one of UK’s finest online auction websites for properties. At Venmore Auctions, you can auction your property for free and get bids from professional bidders and as a buyer you can bid knowing their site has very secure payment methods. They also provide a very informative and up-to-date auction guide that can help you sell and bid wisely. NorCal Online Auctions is an Estate Sales & Liquidation Service company that specializes in estate sales, senior downsizing sales & business liquidation through online auctions in Northern California. NorCal Online Auctions is powered by Xpert Auction Software. The Great North Property Auction offers a fast and effective way to achieve a quick and secure sale. Their homepage features sold, “About to Expire” and the “Latest Addition” listings so that buyers can immediately make a good decision on what to bid on. The Great North Property Auction also offers an evaluation service at no cost or fee. 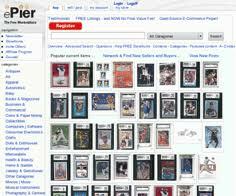 iCollector is one the powerhouses of online auctions. Having run over 10,000 auctions since their inception, they are currently among the top coin auction marketplaces in the world. Established in 1997, iCollector has over 1000 auction house clients worldwide, among them are the top auction houses and licensed dealers in their respective categories. Their homepage contains a lot of useful information and at a glance you can view featured auctions, current auction news and current live bid auctions. 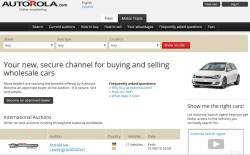 Established in 2001, Autorola is the largest internationally recognized online auction platform for car dealers. Currently facilitating used vehicle transactions in 17 European countries, Turkey, Australia and the US. They have over 70,000 registered dealers worldwide and are gradually but steadily becoming a force to reckoned with in the US auction market. Their homepage contains latest international auction listings and you can see which is which at a glance and you also have the ability to enter into an auction in a snap of the finger. 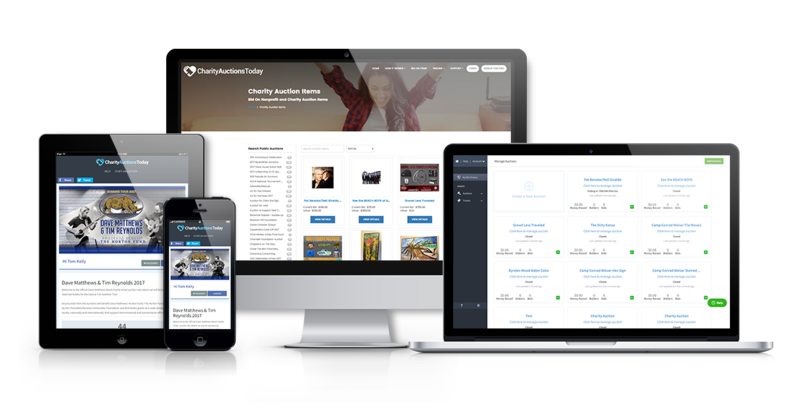 Charity Auction Organizer is a web application that lets you create a very powerful but easy to use auction. 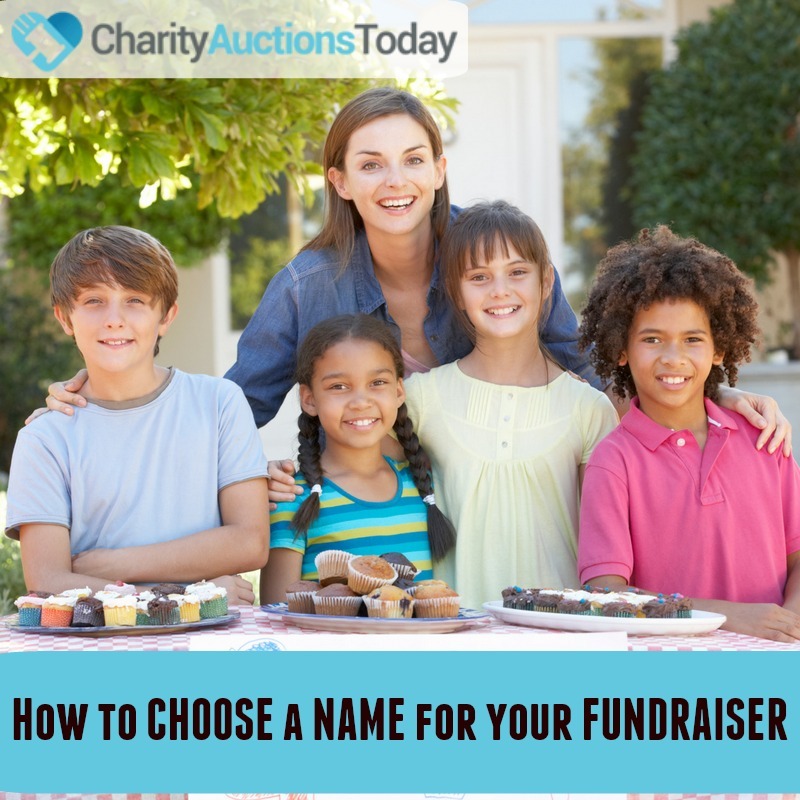 You can run a silent, live or online fundraising auctions at an affordable rate. Hunters Property Auctions is one the leading property online auction companies in the UK. Established in 1992, Hunters Property has grown tremendously so much so that they are now the largest independent estate agency chain in the UK with over 100 branches nationwide. If you live in the UK and are interested in property, the Hunters Property Auctions is definitely what you need. Artsy features the worlds leading galleries, museum collections, foundations, artist estates, art fairs, and benefit auctions, all in one place. They have the largest database of contemporary art with a growing database of 350,000 images of art and architecture. The Artsy auction page features the latest auctions at a glance and also contains very informative tips on how to bid on their site. A fantastic and top-notch travel, sport and celebrity online auction site. CharityBuzz online auctions bring together hundreds of the world’s most acclaimed celebrities, inspiring luminaries and beloved brands to give you unforgettable access to your passions. A beautifully designed website that helps support incredible causes or projects around the world. The finest and the largest is Scotland’s dedicated land and property auction site with a highly experienced team of valuers and sales negotiators who can help with any type of property sale. They have over 300 auctions every week which is really unprecedented. Their website features the latest listings and also latest auction information that will help you make a wise decision. An incredible and fascinating online auction site for autos in Canada and North America with unmatched security features. Auction Export is a renowned auto auction dealer with a track record of credibility and success. They have a Master Business License authentication from the Government of Canada and is a proud member of the Better Business Bureau. In addition, they are also licensed by the Ontario Motor Vehicle Industry Council since 2006 and a registered member of the Used Car Dealer Association of Ontario. Last but not the least is that they accept Skrill as a payment method. 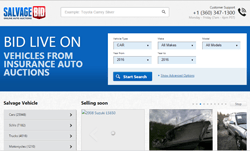 This clearly shows why they are the most trusted online auto auction site in Canada. 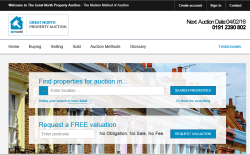 Property Auction Action is the original and best property auction house information website in the UK. 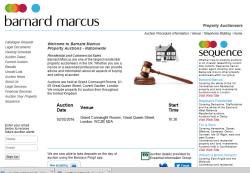 The homepage contains latest property auction listings in both England and Wales. I also like the latest auction news feed at the right sidebar of their website. A fantastic team of online auction site developers with great features especially for fundraising purposes. Give Smart specializes in building and developing outstanding online auction fundraising sites for hundreds of people around the Globe. Give Smart is founded by passionate charity supporters and has a lot to offer to anyone who wants to create an online presence for his auction. Founded in 1982 by CEO Willis J. Johnson, CoPart is an online vehicle auction with more than 75,000 salvage and clean title vehicles on sale each day. They have a fantastic online auction platform and have recently added over 100 new features to improve your online car buying experience. Allsop is a top-notch independent property consultancy with a market-leading reputation based in the UK that is geared towards providing a high quality service. They are among the largest (if not the largest) and most successful property auction houses in the UK. Their homepage contains a lot of property auction info and the recently added “Auction How to Video Guide” section that explicitly covers everything you need to know about buying and selling in auction. Chiswick Auctions, based in West London, is one of largest antiques auction sites in the UK with a lot of auction listings in their database. Although they predominantly deal in antiques, Chiswick Auctions also auctions a variety of modern items and designer goods. They have an auction every Tuesday of the year (except the two immediately around Christmas). They hold Sunday/Monday viewings every week, even on Bank Holidays. Established in 2011 by Vaughn Davis, a professional auctioneer, Tri-City Auction Center is gradually becoming a leader in personal property auctions in Nebraska and its environs. The Essential Information Group, established in 1991, provides comprehensive information on property auctions, including future auction particulars with pictures, guide prices, and auction results. The site has an advanced search feature that allows you to quickly search available property auctions. In fact, they have best auction coverage available in whole of UK. I included them here because of the outstanding services they offer evidenced by tons of positive property auctioneers testimonials. 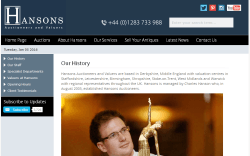 Based in Derbyshire, Middle England with other valuation centers all over the UK, HansonÕs Auctioneers was established in 2005 by Charles Hanson. The homepage contains the latest auctions and some noteworthy details like opening hours, specialist sales, and postages. Founded in 1989 by Clive Emson. Clive Emson Auctioneers was created to supply a high profile auctioneering facility to corporate and independent estate agents, private clients and statutory bodies. It’s aim is to provide specialist land and property auctioneering services. Their homepage contains current and upcoming auctions. A powerful online auction site for fine art and antiques, Schmidt’s has established itself as the No.1 powerhouse in uniting buyers and sellers of Art and Antiques in the United States. Founded in 1911, Schmidt’s has become a leading figure in the antiques auction space and has continued to dominate the online marketplace for fine art and antique auctions in the US. Buyers can bid with the confidence afforded through their accurate, honest descriptions and meticulous condition reports along with high resolution photography of all the items they sell. Auction Auto USA is the best-performing service in the auto auction industry with an amazing 170,000+ auction cars for sale. You can be rest assured of a fast car export service to the destination port. If you are looking for the best price car auction, you don’t need to look any further since Auto Auction USA is the perfect choice to consider. Established in 1967, Ruther Auction have been the recognized leader for land auctions, commercial equipment auctions, estate auctions, and more in Hastings, NE and its environs. Ruther Auction is no doubt the best auction service in Hastings. With over a hundred listings every month, they are considered by many as one of the largest land auction companies in Nebraska. North Point Charity is a professional non-profit auction organization that specializes in helping to raise tax-deductible donations and provide fiscal sponsorship that supports spiritual development, human dignity, disaster relief, arts and entertainment, and alternative technologies. Country Wide Property Auctions is part of the Countrywide Group, which has the UK’s largest estate agency and listing network with over 1,300 branches in the UK. 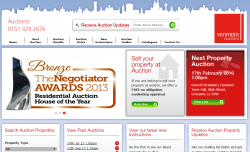 They currently hold National Auctions in London for properties across the UK and the South. Apart from the National Auctions held in London, Country Wide Property Auctions also holds other dedicated regional auctions in Sheffield and Exeter from January to December. Their homepage features the next auction to be held and a very useful auction calendar. You can also get the latest auction dates and news by clicking their respective links at the left sidebar of their homepage. 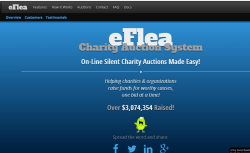 eFlea is a simple to use Free Online Charity Auction Hosting site. They provide services to any not-for-profit group and organization based in Canada, The United States, Australia, New Zealand or Great Britain. They are rated as one of the best online charity auction hosting sites in the United States because of their reputation and credibility. 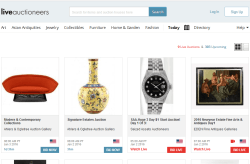 Invaluable is one of the largest premier live online auction sites. You can bid in real time from any part of the world. Their homepage features the latest auction listings and a link to upcoming auctions.